There are dozens of statistics reported when using the Pay-Per-Click Advertisement, like Google Adwords. For example, click-through rate (CTR), cost per click (CPC), number of clicks, number of impressions, conversion rate (CR), cost per conversion, etc. It is always confusing to handle those number. Actually, two of them are important for you. They are click-through rate and conversion rate. When making a PPC advertisement, your advertisment is given a quality score. This quality score is a factors that Google uses to determine whether they display your ad or not at a particular price. If your quality score is low, Google will keep bumping up your minimum bid to be displayed. That means, you need to pay more to show your advertisement. One of the factor to determine the quality score is your click-through rate. The best guess is that the average CTR is about 2%. It’s okay if you can get 1% CTR. But if your CTR is below 1%, you need to pay more for your advertisement. Conversion Rate is important as it is the number that the visitors take the action you desired. You should keep monitoring your CR. 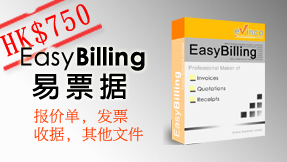 You should calculate the conversion with Conversion Rate and Cost Per Conversion. If you make the conversion, says $30. But your product only sell $25. You are losing money for your advertisement. You should redesign your advertisement such that you can make money for the conversion. 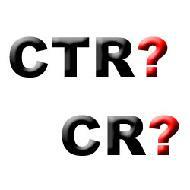 CRT or CR which one is important?? That’s depend on your purpose, whether you want to generate traffic to your website or you want the visitor to perform some action in your website, e.g. download, register, etc? Website building can greatly help internet marketers in reaching forth their chosen niches. With your own simple website, you would be able to offer product reviews and write things that appeal to your audience. Things have become easier these days that you don’t need programming skills to create a money-making website.